Your eyes are among the first features people notice. Unfortunately, they're also one of the first to show signs of aging. As we age, our skin becomes slack. The eyes appear "baggy" or sagging. These changes can make you look tired or even sad, even when you're feeling something else altogether. At first, a tired look may be most apparent in the morning, then persist throughout the day, prompting words of concern from friends or family. The skin tone and shape of the eyelids, eyebrow, and tissue that surrounds your eyes, should give you a look of vitality, youthfulness, and vigor. If it doesn't, perhaps you should consider eyelid surgery. 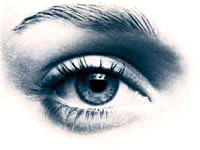 One of the first steps prior to eyelid surgery is to determine the health of the eye. With some eye conditions it would not be recommended to have eyelid surgery. 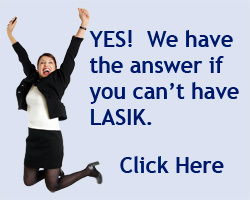 A comprehensive eye exam is necessary to ensure that surgery to your eyelids will not affect the health of your eyes. Modern eyelid surgical procedures are quite safe, and are usually performed under local anesthesia on a same-day, outpatient basis. In most cases, both excess skin and tissue are removed through tiny incisions neatly placed into the natural folds of the eyelid, Once healed, the thread-thin scars are virtually invisible. Remember that doctors are not magicians, and how successful the operation is will depend in part on your general health and other factors. Have as your goal the improvements of your appearance rather than physical perfection and you are much more likely to be pleased with the final results.